We are proud to announce that the first chapter of #WolvesInTheStreet—our comic serial produced in collaboration with anti-human-trafficking organization UNITAS—launches today! 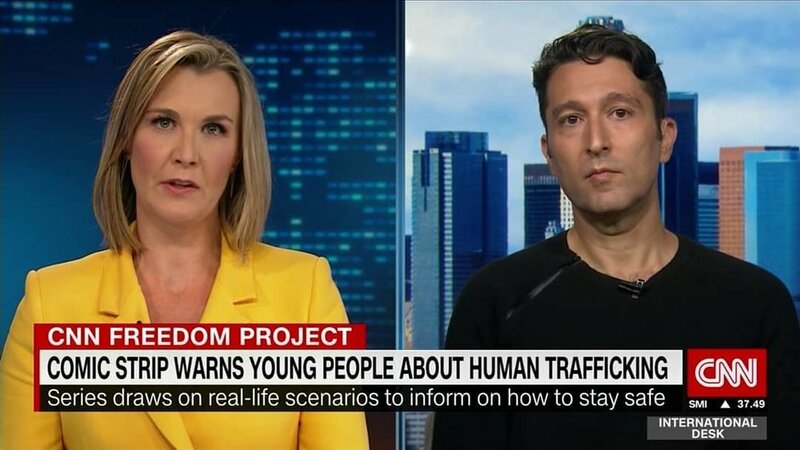 The serial’s aim is to show children and teens online how easily human trafficking can happen—and also how easily it can be prevented. The digital comic, which was developed with extensive human trafficking survivor input, depicts teen Lacey in two different scenarios: one where she ends up in the hands of a trafficker, and one where she follows her instincts and makes a better decision, which ultimately leads to a better outcome. UNITAS will release the digital comic across Instagram, Snap and YouTube to reach children and teens on the social channels they most frequent in hopes of preventing trafficking before it starts through education and awareness.